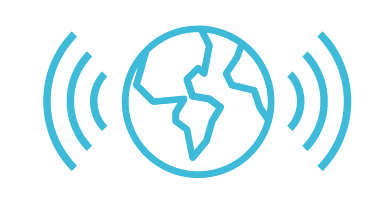 The Global Coalition for Circulatory Health was launched in 2017 at the WHO Global Conference on Noncommunicable Diseases in Montevideo, Uruguay. It brings together international, regional and national stakeholders in circulatory health to drive the urgent action needed to combat heart disease and stroke, in preparation for the Third United Nations High-Level Meeting on Noncommunicable Diseases (NCDs) in 2018. Given this situation, WHF convened the 1st Global Summit on Circulatory Health in June 2016. The result was the Mexico Declaration, adopted by 29 global, regional and national civil society organizations. The signatories pledged to advocate for policies for circulatory health, develop a common implementation strategy based on evidence and develop a common language for policy makers. Subsequently, in July 2017, WHF held the 2nd Global Summit in Singapore with the aim of inspiring a greater sense of urgency to address CVD. Here, the need to coordinate international advocacy efforts became self-evident and a decision was made to form a global coalition of international, regional and national stakeholders to work together for circulatory health. The Global Coalition is open to any professional global, regional, and national civil society organization with a role in circulatory health. If you would like to register, please click on the link below. 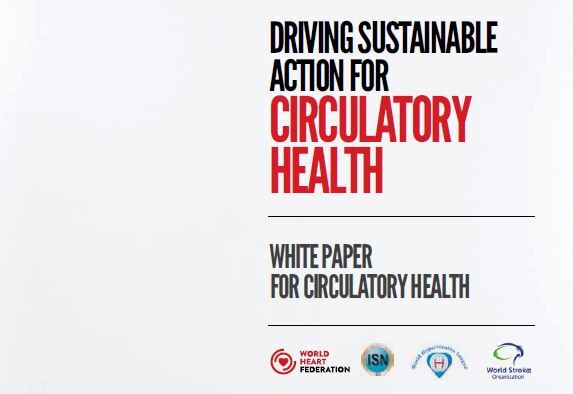 This White Paper draws on stories and lessons from around the world to showcase proven, practical steps to advance circulatory health. The Global Coalition will launch the White Paper on Circulatory Health entitled Driving Sustainable Action for Circulatory Health on 25 September in New York, bringing together leaders in public health, government, civil society and the private sector attending the 3rd United Nations High-level Meeting on Noncommunicable Diseases. Drawing on success stories and patient testimonies, the White Paper proposes feasible solutions in universal health coverage, financing, infrastructure, and access to medicines to advance circulatory health. Vytenis Andriukaitis, European Union’s Commissioner for Health and Food Safety, and David Wood, President of the World Heart Federation, will speak at the launch of the White Paper, with likely participation from the Ministry of Health of Jamaica. More information will follow in the coming weeks. 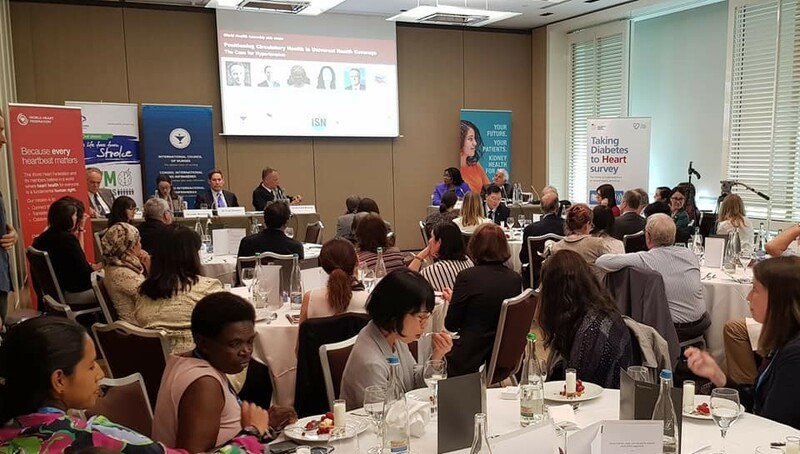 On 22 May, the Global Coalition for Circulatory Health held a side event on the margins of the 71st World Health Assembly to advocate for circulatory health and hypertension control in universal health coverage for the estimated one billion people who live with raised blood pressure. Moderated by Dr Richard Horton (Editor-in-Chief, The Lancet), the panel included Dr Tom Frieden (President & CEO, Resolve to Save Lives), Dr Etienne Krug (WHO Director, Department for Management of Non-communicable Diseases, Disability, Violence and Injury Prevention), Ms Rita Melifonwu (Ashoka Fellow & Founder of Stroke Action UK and Nigeria), Mr Nicolas Diserens (Patient Speaker, Switzerland), and Dr Inke Mathaurer (Senior Financing Specialist, World Health Organization). The speakers proposed a path forward that puts patients and the health workforce at the centre, creates an enabling environment of training, education, information systems and sustainable financing, and mobilizes the political will to leave no one behind. Aimed at policymakers in national and international bodies, the White Paper is a solution-oriented paper which draws on success stories and testimonies of people living with circulatory diseases to present feasible actions in education and training, universal health coverage, financing, infrastructure, and access to medicines and technologies to advance circulatory health. 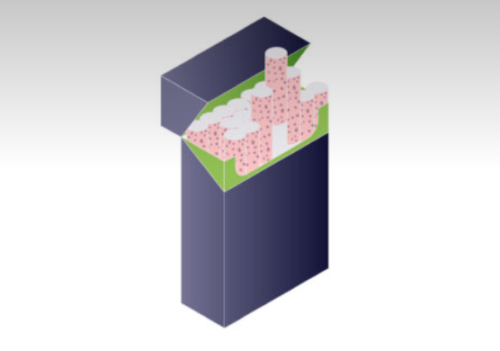 The White Paper is written with sustainability in mind. This is why it is firmly placed in the context of the United Nations’ Sustainable Development Goals (SDGs) and in particular of SDG Target 3.4. of reducing by one third premature mortality from noncommunicable diseases through prevention and treatment and promoting mental health and well-being by 2030. Beyond target 3.4 and considering the impact that circulatory diseases and NCDs have on health, productivity and the economy, improving circulatory health is paramount for SDG 1 (No Poverty), SDG 4 (Quality Education), SDG 5 (Gender Equality), SDG 8 (Decent Work and Economic Growth), SDG 10 (Reduced Inequalities), and SDG 11 (Sustainable Cities and Communities).